Who should invest in an oil and gas company? If otherwise, should be classified as sophisticated, and one’s investment should not exceed 20 percent of his or her net worth. How will an investor know whether he is an accredited or a sophisticated investor? An accredited investor is someone who has earned $200,000 dollars in excess per year as an individual or $300,000 per year with a spouse for the last two years and expects to earn that similar amount in the current year. An investor can also be classified as such if one has a net worth that exceeds $1,000,000, which excludes home, automobiles, and furniture. However, a sophisticated investor is someone who can sustain the loss of all or a portion of the investment, while the said investment does not exceed 20 percent of one’s net worth. A licensed engineer or a petroleum official should appraise the net value of one’s investment. If you one is considering to invest in an oil and gas company, what should one look out for to determine whether a company is legitimate or fraudulent? Sales pitches on highly publicized news – to make the opportunity appear legitimate, scammers focus on recent new items like volatile oil prices. “Can’t miss” wells – like other investment ventures, oil and gas industry is a hit and miss opportunity. Every offer should be taken with skepticism especially if a telemarketer convinces you that you are guaranteed with high returns. Unsolicited materials – these ads have usually colorful materials and sale pitches in order to keep you hooked. Simply ignoring these in your junk folder may be your best strategy. Or better yet, if you receive a follow up call, simply hang up. Promise of great financial returns – dubious companies often employ quick-rich schemes or high-pressure sales tactics like limited business opportunities in order to pressure a victim to hand over money quickly. As reiterated earlier, oil well investment is a speculative venture, so it is important to investigate the company well before putting up your dough. Transaction secrecy – dubious companies will dissuade you from disclosing the opportunity to people you trust. Stop dealing with them. What are the steps that an investor must do in order to protect oneself? Many people are scammed by fraudsters by the fact that most of them don’t bother to check for facts. Aside from asking a promoter for references, you must also do your own research. To verify a company’s claim, you can contact as state’s oil and gas regulatory agency for the information of wells being drilled. These agencies can provide you with a company’s past drilling history. For the Lone Star State, it is the Railroad Commission of Texas. You can also contact the secretary of state where the company is incorporated to find out if it is in good standing. You can also check its financial statement through the Securities and Exchange Commission. Look into a company’s management and engineering staff, making sure that they have at least one certified geologist. Aside from exploring for oil sources, the geologist has the critical role of drawing up a risk analysis to determine whether a newly explored reservoir is worth drilling. Confirm the staff’s professional working history to assess their integrity. In general, don’t rely solely on the information stated on a company’s ad. Don’t fall victim and empower yourself with information. What are the different oil investments schemes that one can pursue? Mutual funds – purchasing company stocks is less risky, though its returns are low as well. One can also consider unit investment trust (UIT), or a company that offers fixed unmanaged portfolio of stocks or bonds that are redeemable as units for a time period. Each unit costs at least $1,000 and is sold by brokers and can be resold in the secondary market. Mutual funds do not offer any tax incentive, and an investor should pay tax on all dividends and capital gains. Partnerships – have several forms, although limited partnerships are the most common. Named so because the liability of the entire producing project is limited to the amount of a partner’s investment. These are sold as securities, and as such should be registered with the SEC. Tax incentives are available on a pass-through basis, and each partner will receive a K-1 form every year that details one’s share of the revenue and expenses. 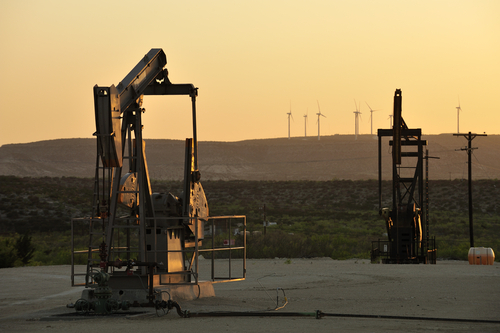 Royalties – compensation received by landowners where the oil wells are drilled. They receive at least 12 to 20 percent of the gross production and receive no liability relating to well leases. However, they are still not eligible for tax benefits. Working interests – similar to a general partnership where each party has unlimited liability. This is the riskiest but the most involved way of investment. This is considered as self-employment income and is subjected to self-employment tax. They are not considered as securities, and therefore do not require license to sell.